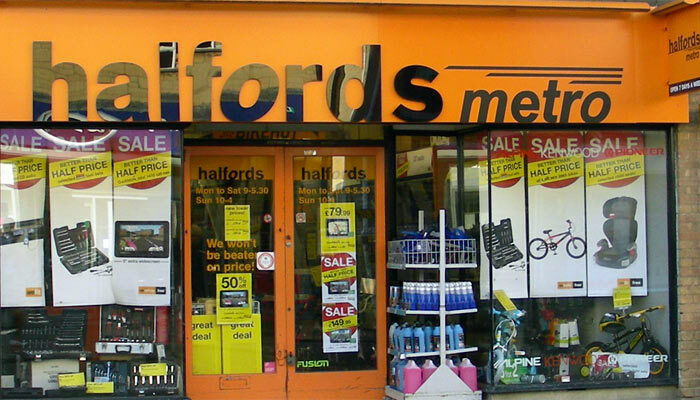 Halfords is a familiar sight on many high streets and out of town shopping centres and Cirencester is no exception, the Cirencester store being on Cricklade Street. On entering the Halfords (or Halfords Metro in this case) you will find the usually array of motoring related goods including Sat-Nav, in-car entertainment, car cleaning products, tools petrol & diesel additives, bulbs and other motoring accessories. On the first floor is an extensive range of bikes for adults and children as well as cycling accessories such as helmets, locks, lights and puncture repair kits.